Surpass your physical and mental boundaries with a challenging, yet fun new experience in Barcelona. 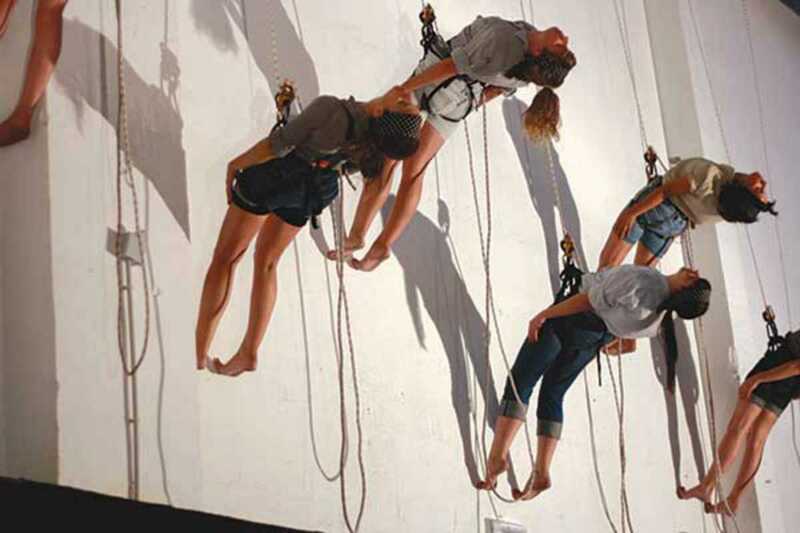 OnAir, Spain’s first aerial dance school, offers a variety of classes ranging from aerial and vertical dancing to acrobatics and trapeze. Located in Poblenou, a neighborhood where art and tradition coexist in harmony, OnAir invites amateurs and professionals alike to join them in their spacious, 200 m2 facility. Children, young adults and adults wishing to explore a new form of exercise can improve their balance, coordination and flexibility while increasing their overall strength. Students say that the gradual improvements they see from class to class help keep them motivated. Memberships start at €69 a month. If you’re interested in adding something new to your fitness routine, OnAir may be the place for you.